KR Puram office space to start, run and grow your business in Bangalore. 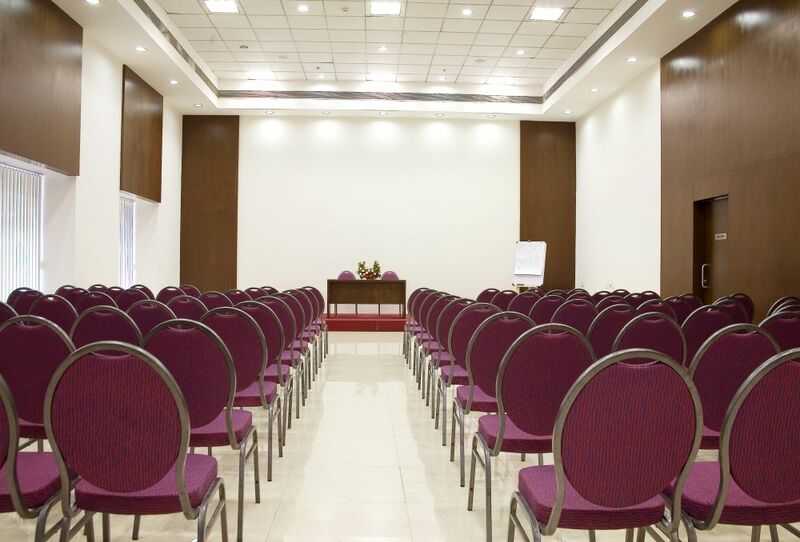 Professionally managed spaces to meet and impress clients. Attract the best talent in Bangalore to enjoy a day working at Evoma, where business meets leisure. 1. 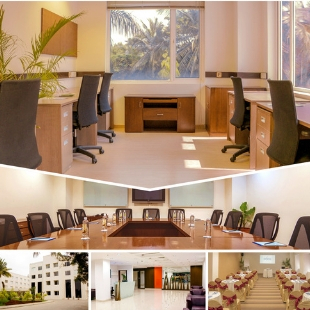 Evoma Old Madras Road is the only office space provider, event venue and 4-star conference hotel with immediate and direct access to the Hosakote-Narsapura industrial corridor - the fastest growing industrial area in Bangalore with companies such as Honda, GSK, Mahindra Aerospace, Scania, Volvo and many more. 2. Evoma is the only business center with office space for rent in KR Puram within 10 minutes of Sai Baba Road, TC Palya Main Road, Ramamurthy Nagar, Devasandra Main Road and other nearby residential areas. 3. Adjacent to Pashmina Waterfront, with 10-minute access to apartment projects such as Brigade Exotica, Brigade Triangle, Salarpuria Sattva, Gina Shalom, Skylark Ithaca, Shriram Greenfield, etc. 4. Easy access to Kempegowda International Airport in Devanahalli via Budigere Cross. 5. Only 10 min from ITPL, and a fast 20 minute no-traffic drive from Whitefield and EPIP. 6. 20 minutes to Byappanahalli Metro, and 25 minutes from Indiranagar. The Evoma OMR Business Center in KR Puram offers furnished office space for rent, staffed reception, lounge, parking area, and event spaces including 10 conference venues of different sizes, meeting rooms, a board room, and break-out rooms for informal discussions. 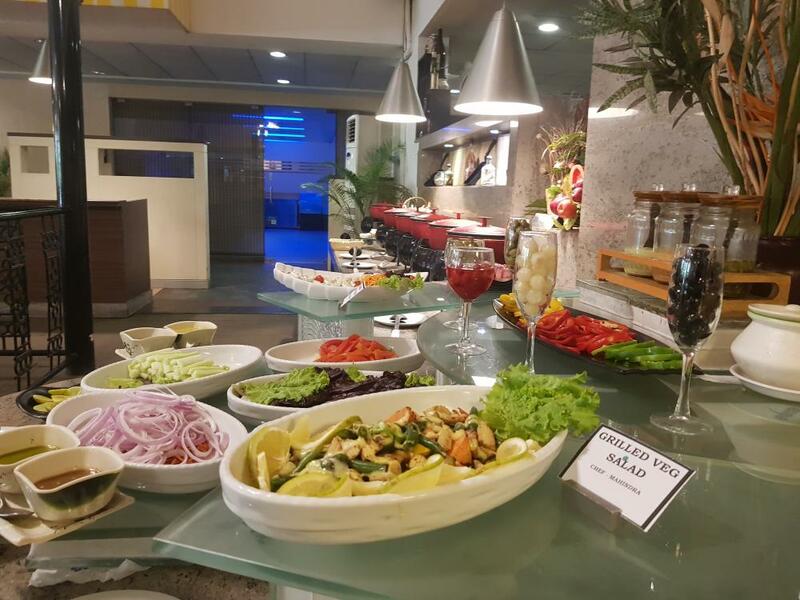 Evoma OMR also houses a business hotel for executive accommodation and residential conferences, four restaurants, daily meals and drinks for office tenants, catering for events, and a lawn that you can use for team building activities. Evoma companies and the people who work in the building stay fit and healthy using our gym, outdoor swimming pool and the walking trails in our outdoor garden area. Dining is a guilty pleasure at Evoma, with dishes prepared and served by our award-winning celebrity chefs. Catering for events is handled in the same meticulous manner that food is served in our 4-star luxury hotel restaurants.